SorBabes Sandwiches that just happen to be diary free and gluten free! 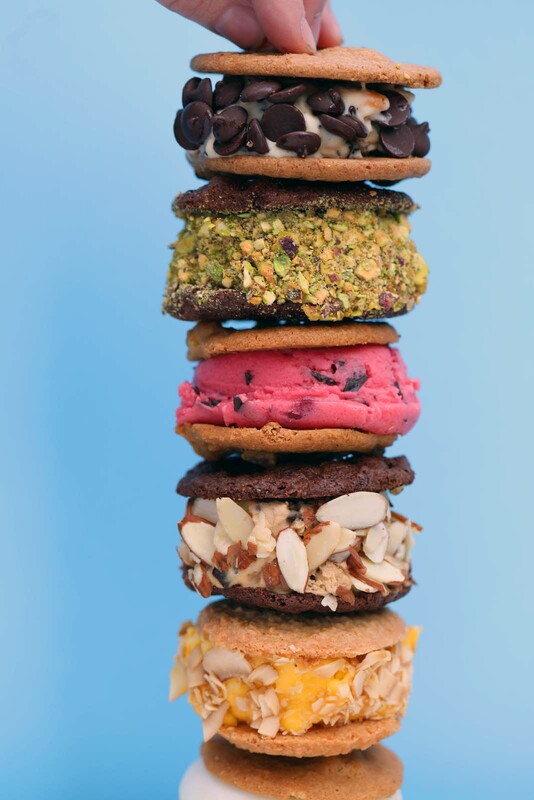 Ice cream sandwiches are a classic treat, we gave them a modern twist: A scoop of SorBabes goes great between your favorite cookies. Mix and match to find your perfect combination. A few pints of SorBabes, pick your favorites! Gluten free cookies, pick or bake your favorites! Scoop about 3 ounces of your favorite SorBabes flavor, and sandwich it between your favorite cookies; give it a good squeeze. Roll the exposed edges of your SorBabes Sandwich in your favorite toppings. You can enjoy it right away, or make a whole bunch and freeze them for later! They make a great BBQ dessert.